The whole team at Sew Modern Bags love Swoon bags – all of them. But they can be complicated and take a while to make. This one, on the other hand, the Ethel, is a darling to sew. 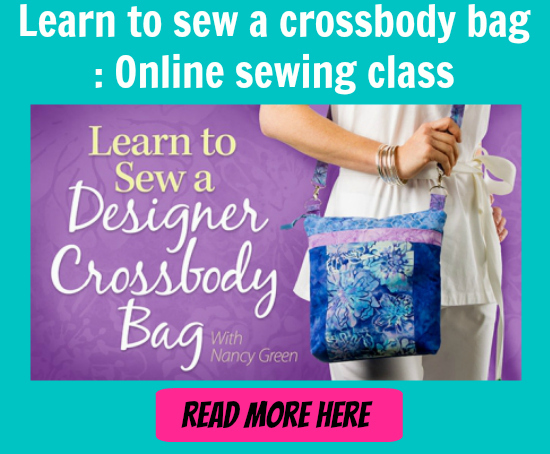 Quick and easy and ideal if you’ve sewn for a while but never made a bag before. You can create something really eye-catching with this one. Fussy cut your fabrics so your fabric design perfectly matches on the pocket with the body of the bag, or even sew it in different fabrics for a contrast. Either way, you won’t be disappointed with the Ethel free sewing pattern.